Chevrolet: Camaro 1SS 1LE 2014 Chevorlet Camaro 1SS 1LE performance Package Low mileage!!! Up for grabs is a 2014 Chevrolet 1SS with the 1LE Performance package. Low mileage of 12,743KM (7918 Miles) Limited production dumbers with the 1LE 426HP LS3 6.2L V8 mated to a 6-speed manual gearbox 1LE SS performance pack, includes:-20x10 front & 20x11 rear black painted wheels forged aluminum wheels-285/35ZR20 Goodyear Eagle F1 tires-3.91 axle ratio-performance suspension-suede microfiber wrapped steering wheel and shift knob Recaro Performace bucket seatsEnhanced 6-speaker stereoNavigation Located in Yorkton, Saskatchewan, Canada. Pick-up avilable. Shipping at buyers expense. Canadian buyers are required to pay GST. 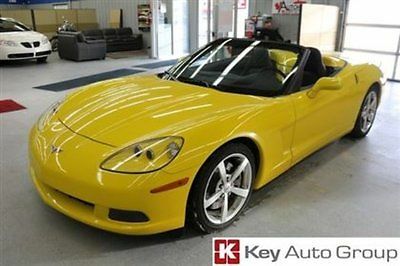 Chevrolet: Corvette Convertible 3LT Z51 2008 Corvette Convertible. Z51 Performance pack. Ultra low mileage!!! 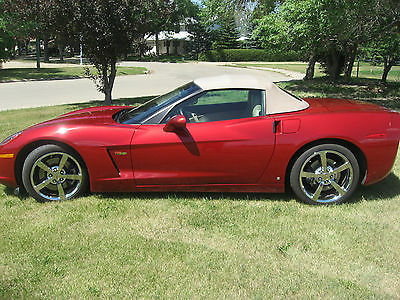 Up for sale is a extremely nice condition 2008 Chevrolet Corvette convertible with ultra low mileage. 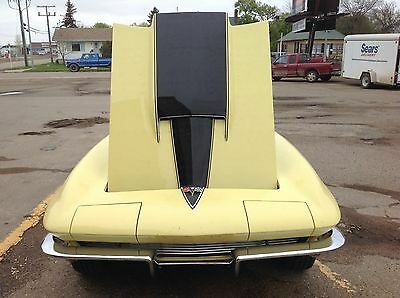 Only 48,584 KM (30,189 Miles) Velocity Yellow over Ebony leather with black cloth top 430HP 6.2L LS3 V8 mated to a 6-speed automatic transmission. 3LT Preferred Equipment Group, that includes:-AM/FM/6CD changer, MP3-Bose 7 speaker system-Heads-up display-Power adjust steering wheel-heated memory seats Z51 Performance package, that includes:-larger cross-drilled brake rotors-performance tuned: tires, stabilizer bars, springs, shocks, performance axle ratio (2.73) Located in Yorkton, Saskatchewan Canada. Pick-up available.Shipping on buyers expense. Canadian buyers are required to pay GST. If you have any more questions or picture requests don't hesitate to send me a message. 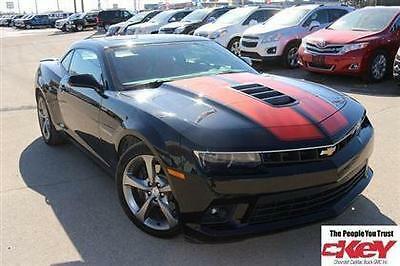 Chevrolet: Camaro SS Rally Sport Package 2014 Chevrolet Camaro 2SS "Rally Sport "only 7,000KM & full warranty !!! 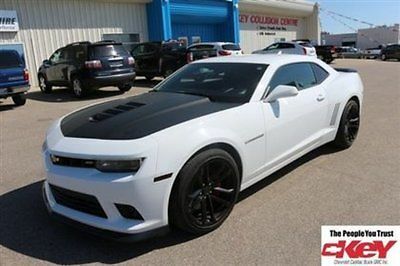 Up for grabs is an immaculate condition 2014 Chevorlet Camaro 2SS with the Rally Sport package. Loaded with every power option. Ultra low KM one owner vehicle. Black w/ Inferno Orange rally stripes over Inferno Orange leather seats. 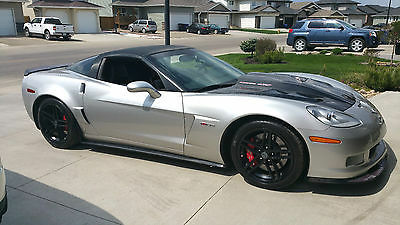 426HP LS3 6.2L V8 mated to a 6-speed Manuel transmissionPerformance exhaustHeads-up displayInferno trim packagePower sunroof Vehicle is located in Saskatchewan, Canada. Shipping is on purchasers expense. Please note: Canadian sale require GST to be payed. Chevrolet: Camaro Rally Sport 2014 Chevrolet Camaro 2SS "Rally Sport "only 7,000KM & full warranty !!! Phobia Street twin turbo shop car for sale. Feel free to inquire within. Car is in storage but can removed before spring. 720whp at 12psi. This car is an absolute land rocket. I haven't looked in some time but had 60,000km (37,000miles) Auto car with paddle shift. Fully loaded, and targa top. Engine: -160 Tstat -MSD wires and new TR6 plugs -haltech beehive -AIS meth injection kit -hydrodip fuel rail covers -Phobia Street twin Turbo system -Percision turbos -LS3 engine with 10,000km (6000 miles) Exhaust: -Custom 3" dual exhaust off turbos. 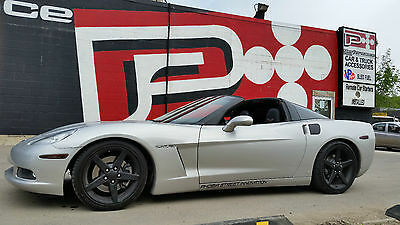 Fuel system: -60 LBS injectors -kenne bell boost a pump -walbro in tank fuel module Exterior: -carbon fiber roof -Z06 rear spoiler -tinted windows Interior: -dvd/nav -AEM wideband/AEM digital boost controller Tires: -front tires almost brand new. 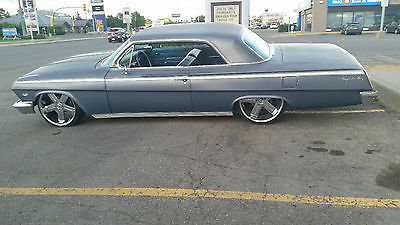 Rear drag radials half worn but will include near new rear tires. Car is mint inside and out. Car dyno'd @ 720 RWHP with meth injection. This car is no joke and is very very fast. Never tracked or raced . Car was build and dyno'd professionally with no expenses spared. Sorry about the low quality pictures. 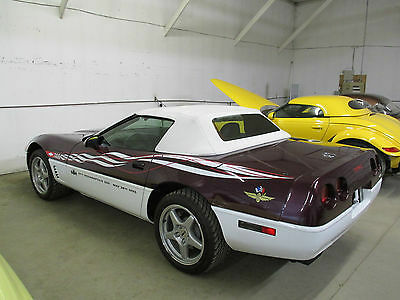 Better ones are available CAR IS LOCATED IN CANADA AND IS IN STORAGE. It is finally time to let go of my 2011 Chevrolet 3500 LTZ. This truck has been a solid work horse. I'm downsizing. I no longer need a 1-ton dually. Otherwise this truck would stay put. Just downsizing bills. This truck is loaded. 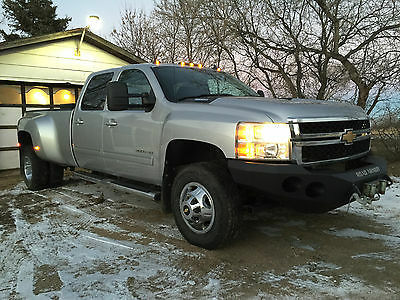 it features: Mechanical: -6.6 Duramax Diesel with DEF delete kit and after market 4" MBRP exhaust with muffler. Truck has had 0W40 Synthetic oil changes since new. -Allison Automatic Transmission. Shifts solid. -Aftermarket XRT Pro diesel tuner (used for DEF delete not for performance). DEF tank is still in truck. -2 Brand new batteries-2 After market AFE Washable air filters-New shocks @120,000 miles -New upper and lower ball joints with steering shock @140,000 miles-Comes with a spare set of brake pads (pictured and not installed. Truck doesn't need brakes, but there are extras I had that are going with truck) as well as two spare oil filters, spare fuel filter, and spare transmission filter. - Truck will have fresh oil change, transmission fluid and filter change, transfer case fluid change, and rear end fluid change. All synthetic fluids used during life of the truck. Exterior: -Box liner-Brand new Better built toolbox-Reese 25K fifth wheel hitch and rails (nothing in box when fifth wheel isn't installed-Pictured) Truck is rated to tow 21,400lbs. Payload is around 4800lbs. -Fifth wheel wiring in box-Side carrying racks (pictured) are rated @500lbs. Can carry pipe, rods, wood, steel etc up to a max capacity of 500lbs. -Toyo ATII tires @60%- Road Armour front bumper with smitty Bilt 15K electric winch.-All lights and exterior features are working and operational. Interior: -Black Leather interior in Showroom condition. -Power: locks, windows, mirrors, seats, steering, brakes. 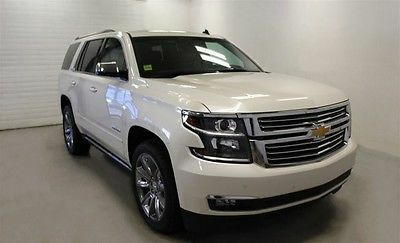 -Remote start and locks-Bose stereo with CD, MP3, satellite radio, On-star, bluetooth handsfree-1000W power inverter Providing 120V power-Garmin GPS-Dual Climate control. Heat and AC work like new. -All interior features are fully operational. This truck is ready for whatever you can throw at it. Message me for any other questions. If interested in purchasing, I can accommodate reasonable arrangements for pickup. Near airports are Minot, North Dakota and Regina, Saskatchewan. Local pickup is preferred but can make arrangements with the right buyer. Thank you so much for your interest and I look forward to hearing from you. I bought this car in 2004 (Over $40K dollars) and have not put more than 10 miles on it since. It has always been stored in a climate controlled space and ran every year to date. It is basically a new car. I did have to change the fuel pump last year for whatever reason. One of 527 built in like new condition. 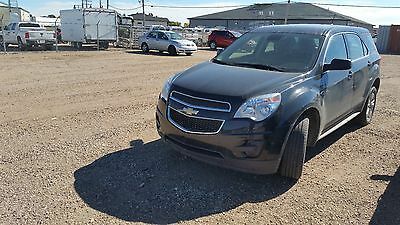 It is one of 12 Canadian spec cars and I have GM documentation from GM Canada. It is not a Festival/Track car. I bought the car from Wisconsin and have a clear Wisconsin title in hand. My name is Glenn feel free ton contact me with any questions you may have or photos you would like. I will ship to Canada or the USA at buyers expense. Rare, very well cared for, beautiful crystal red exterior, beige interior and a 6 speed MANUAL transmission. 436 hp with dual mode exhaust. All options included with this 3LT package. Original window sticker (in the pictures) details all options. New Wind Restrictor just installed with red LED lighting package. All manuals, car cover and key fobs included. This vehicle is a real head turner, the color is amazing and the pictures just cannot capture how beautiful this car looks.